DSP Orange Mesh Flag w/ Staff - 18" x 18" x 30"
An 18" X 18" mesh flag, blaze orange color, complete with 3/4" round wood staff, 30" in length. Edge features a cloth binding. 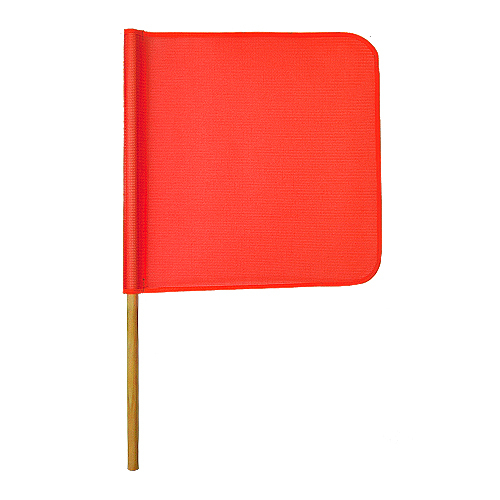 These flags are often used for flagging or piloting, being affixed to oversize load signs.